In the Mountains of Madness: The Life, Death, and Extraordinary Afterlife of H. P. Lovecraft interweaves the biography of the legendary writer with an exploration of Lovecraft as a phenomenon. It aims to explain this reclusive figure while also challenging some of the general views held by Lovecraft devotees, focusing specifically on the large cross-section of horror and science fiction fans who know Lovecraft through films, role-playing games, and video games directly influenced by his work but know little or nothing about him. More than a traditional biography, In the Mountains of Madness will place Lovecraft and his work in a cultural context, as an artist more in tune with our time than his own. Much of the literary work on Lovecraft tries to place him in relation to Edgar Allan Poe, M. R. James, or Arthur Machen; these ideas have little meaning for most contemporary readers. 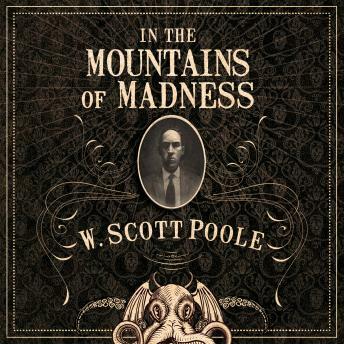 In his provocative new book, W. Scott Poole reclaims the true essence of Lovecraft in relation to the comics of Joe Lansdale, the novels of Stephen King, and some of the biggest blockbuster films in contemporary America, proving the undying influence of this rare and significant figure.